NUMBER OF ARTISTS: can register all those who wish without number limit. 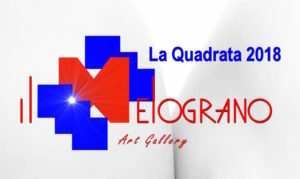 Among the members the Jury will choose 40 (forty) finalists while the other 10 (ten) will be chosen by the public with the online vote, for a total of 50 finalists who will exhibit at Il Melograno Gallery in Livorno, from June 22th to July 7th 2018 . VOTES: the votes of the public will be made by clicking on the stars next to the photograph of the work on the site www.concorsiarte.it. The top 10 most voted will be composed of the 50 finalists. The most voted will be the winner of the Solo Show Award. At the end of the voting the works will be evaluated by the jury, kept secret until the advanced competition. The works can be voted until May 12, 2019 at 21.00. The results of the Jury’s work will be announced on Thursday 21 May, the day on which the 50 finalists will be announced, the winner chosen by the public and the winner of the Jury Prize. 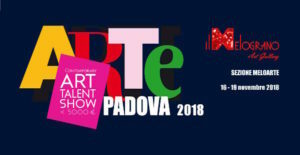 SOLO SHOW PRIZE: the most voted by the public will have in his honor a personal exhibition lasting one week, to be agreed in autumn 2019, in the large entrance hall and adjacent windows (two large and two small) with a number of works evaluated by mutual agreement for the best preparation. THE REVIEW OF FINALISTS: the first 10 classified by the selection online by public vote and another 40 chosen through the judgment of the Jury will exhibit in the gallery from 22/06 to 07/07 at our spaces with timetable 10/13 and 17/20, every day except Monday mornings. The exhibition will close on Wednesday, July 7th at 20.00. VERNISSAGE: the inauguration of the exhibition will take place at 18.00 on Saturday 22 June, with the usual modality of the gallery, that is with a toast in honor of the artists and guests. SALE OF THE WORKS: the sale of the works is optional. If the artist wishes to give the mandate to the gallery, a commission of 12% will be applied to the final sale price, net of VAT. DELIVERY OF WORKS: delivery must take place between 12 and 19 June and the collection between 11 and 17 July. The assembly will be edited by the gallery, it being understood that the layout of the works is at the discretion of the gallery. The shipment will be at the expense of the artist, both for sending and for the return of the works.